Saffiedine and Larson are both hungry for this win, so fans can expect an action-packed fight for the upcoming Shark Fights 13. Can "Sponge" sip all of his opponent's energy for the belt, or will Larson squeeze him out? Shark Fights officials announced today that Brock Larson and Tarec Saffiedine will complete the puzzle of the next pay-per-view event. 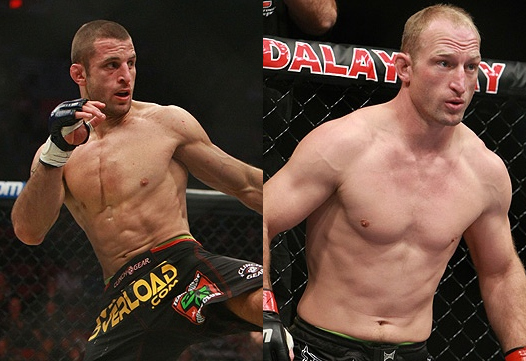 The Strikeforce and DREAM veteran Tarec Saffiedine will meet Brock Larson on the main card of Shark Fights 13. The event will feature a non-title match between Shark Fights light heavyweight champion, Trevor Prangley, and Keith Jardine. Shark Fights 13 will take place on September 11 at the Amarillo Civic Center in Amarillo, Texas, and will air live in pay-per-view. Tarec “Sponge” Saffiedine is a Belgian fighter that trains with Team Quest. He had made two appearances on Strikeforce Challengers cards in 2010, taking home victories on each match. His only defeat, in his nine fights inside the cage, was against Dong Sik Yoon via a split-decision last October 2009. Brock Larson, on the other hand, is carrying a three-fight winning streak into the match. The fighter from Minnesota Mixed Martial Arts Academy was released from UFC after two consecutive loss against Brian Foster and Mike Pierce.